Welcome back to Medieval Monday! And welcome back, Cathy and DD MacRae! 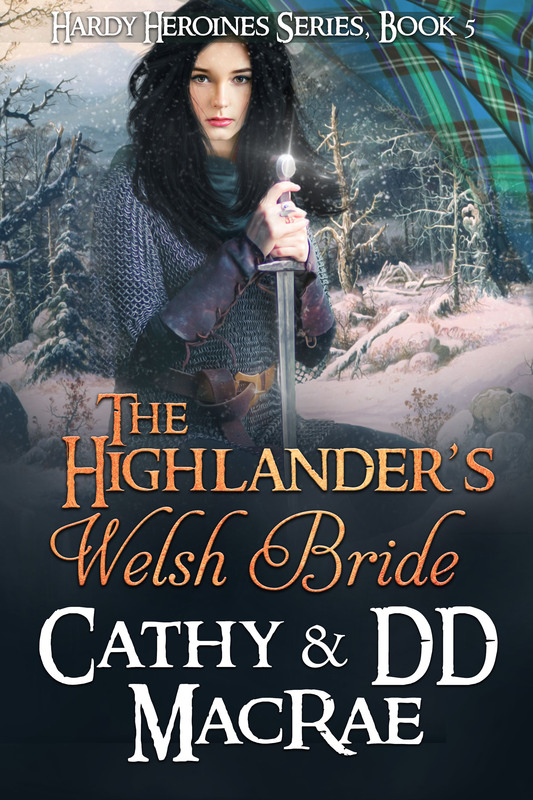 Once again, we’re featuring The Highlander’s Welsh Bride, the fifth book in the Hardy Heroines series. A myriad of emotions flushed through Carys, diluting her anger. Loss. Homesickness. Grief. Loneliness. She quickly tamped them down, shoving the sentiments into the deep space inside where she hid them away. She set her jaw stubbornly. What kind of honor did the MacLean laird have if he punished those who fed his people? He sounded no better than Edward and the cursed English. Thanks for hosting me today, Judith! I see he is coming to his senses thinking about her in the dungeon!! Happy Monday! He’s a bit devious, our hero is. Thanks for stopping by Lori! Thank you, Mary! So glad you dropped by! Is he no better than Edward and cursed English? I hope not. I just love this cover and the snippet, too! Thank you, Sherry! Dar Albert does exceptional artwork! It is a lovely cover. Thanks for joining us, Sherry!